The Registry for Pancreatic Patients – that was established for recording data of patients with pancreatic diseases – had received the ethical and biobank permission in 2012. (TUKEB-22254-1/2012/EKU and IF 702-19/2012). The enrollment of patients started in September 2012. Patients appearing with acute, chronic or autoimmune pancreatitis or pancreatic cancer are enrolled prospectively regardless their age. Patients are questioned about their medical history, complaints and symptoms. All answers and details from their electronic medical records (results of their examinations, details of their treatments in connection with their pancreatic disease) are uploaded to the registry. Samples of blood are stored in the Biobank. Blood sampling is done when a gastroenterologist or surgeon order laboratory examination, no further intervention is needed. Patients are allowed to be enrolled only upon their informed consent. There are almost 1600 patients in the Registry, more than 1300 blood samples in the Biobank. 34 Hungarian centers and 23 centers from abroad have already joined. The number of patients in the Registry has been growing continuously thanks to the activity of institutions already contributing and also to institutions newly joining. 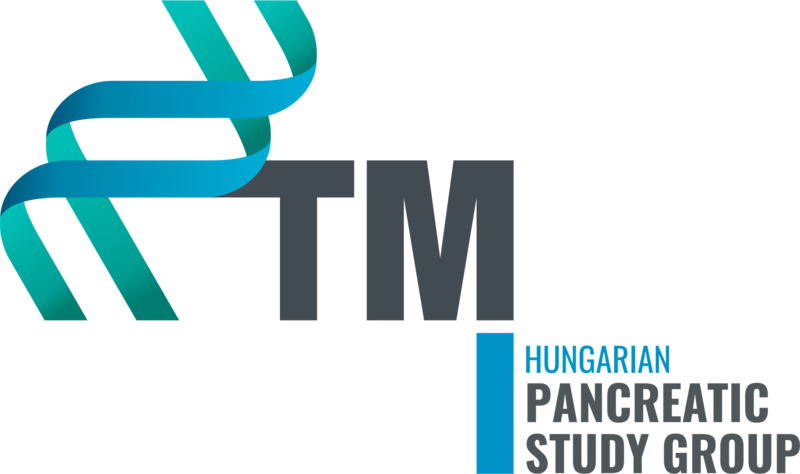 The Hungarian Pancreatic Study Group has initiated and started 4 international observational clinical studies in 2014. All details of the EASY, PINEAPPLE, APPLE and PREPAST studies are available in the Studies section of our website. Data of these studies can be uploaded to the Registry as well. Based on data of the Registry for Pancreatic Patients, 3 genetic studies (SLC26A6, CCKB and SPINK1), 4 cohort studies (acute pancreatitis, chronic pancreatitis, pancreatic cancer and pediatric pancreatitis) and the early results of the PINEAPPLE study have already been presented on the Hungarian Society of Gastroenterologyconference, the European Pancreatic Club conference or on the United European Gastroenterology Week and published in Pancreatology. The EASY pre-study article has been published in June 2015 in the Journal of Gastrointestinal and Liver Diseases. Joining the Registry for Pancreatic Patients provides the opportunity to take part in retrospective and prospective studies.